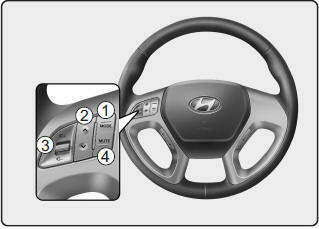 The steering wheel may incorporate audio control buttons. These buttons are installed to promote safe driving. Push the lever upward ( ) to increase the volume. Push the lever downward ( ) to decrease the volume.